The Balvenie, located in the Speyside region of Scotland, produces some of the best and most accessible Scotch whiskies on the market. I’ve spoken highly of their DoubleWood and Caribbean Cask expressions, finding them to possess strong character and individuality at a good price point. Thus, when I received a bottle of Balvenie PortWood 21 Year Old Single Malt Scotch as a Christmas present, I had high hopes when I sat down to enjoy a dram with friends. First, some background. The PortWood is aged 21 years. 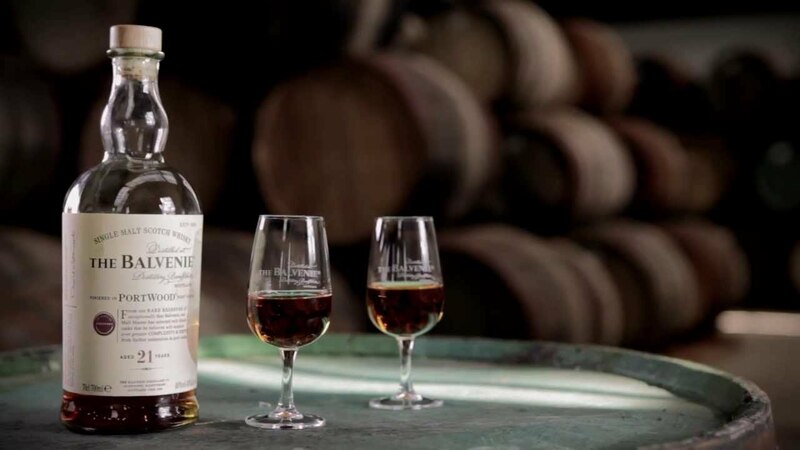 In the later stages of the aging process (The Balvenie doesn’t say exactly when) the whisky is transferred to port casks, or pipes, which have held fine port wines. This will give the expression an added layer of smoke and fruitiness. 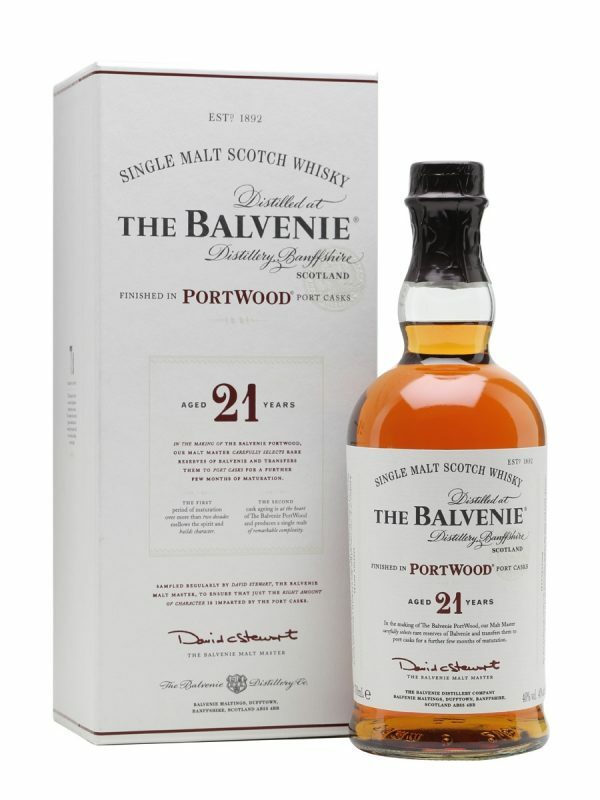 The nose finds The Balvenie PortWood 21 strong, but not overwhelming. There’s definite notes of fruit and honey. On the palate, you immediately experience the smoothness. It’s not a too sweet smoothness, but an elegant, sophisticated smoothness that makes you close your eyes and just enjoy. There are notes of fruit, honey, toffee, caramel and spices – wonderfully balanced and (again) immensely smooth. The finish on the PortWood 21 is long and warm. Everyone at our tasting loved the Balvenie PortWood 21 Year Old Single Malt Scotch. It was flavorful, rich and full of body – a treat from start to finish. I recommend the Balvenie PortWood 21 Year Old Single Malt Scotch be enjoyed neat, but if you must add something, a splash of water is probably your best bet. A bottle of the PortWood 21 won’t come cheap – pricing is generally around $180, but if you look around, you can find a bottle around $160. Either way, it’s a great treat, and well worth it for Scotch fans.